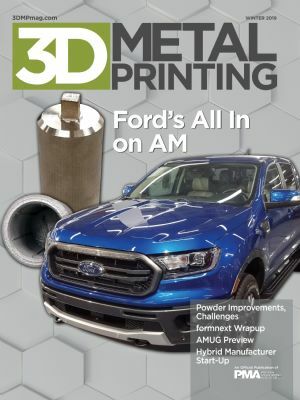 With its Advanced Manufacturing Center in Michigan, the Big Three automaker hopes to grow its 3D printing capabilities for support and production. A first look reveals that Ford is well on its way. Booth after booth showcased what's new and exciting. Here's a taste. ...solves multiple challenges for this industrial-filter manufacturer. The evolution continues as manufacturers move 3D printing toward Industry 4.0. NASCAR driver Brad Keselowski has opened the doors of a state-of-the-art manufacturing facility in NC, and bets on metal 3D printing to win. Looking to Learn More About AM? March 31-April 4 in Chicago is when and where the additive-manufacturing community gathers to share, learn and network. Be there. Going digital doesn't have to be complicated, but manufacturers must make it happen.